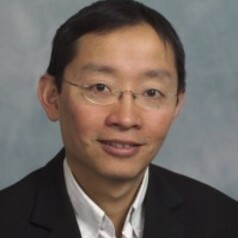 Ken Ong is a Paediatric Endocrinologist and Epidemiologist at the Medical Research Council Epidemiology Unit, University of Cambridge, UK. His research has identified trajectories of childhood growth, weight gain and pubertal timing as determinants of obesity and related disease, and aims to understand the genetic, epigenetic and endocrine mechanisms that underlie these links. He works closely with other research programmes at the Unit to study the aetiology of obesity and diabetes, and to develop and test interventions to prevent childhood obesity. As well as his research work, Ken is a consultant paediatric endocrinologist and the clinical lead for childhood obesity at Cambridge University Hospitals NHS Trust.